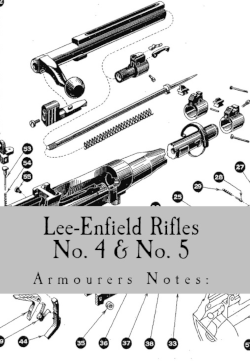 This book is a compiled blend of vintage British War Office armourer's manual content and modern day wisdom based on the author's 50-plus years of gunsmithing and shooting Lee-Enfield Rifles. In fact his first rifle wasn't a .22. Instead, it was a Rifle No. 5 Mark I, Serial number BD3077, bought with his own money ($15) when he was a wee lad of 14 years of age. Dissasemble the rifle from muzzle to buttplate. Replace a weak extractor spring. Bed the receiver for better accuracy. Fine tune the magazine (Remedy feeding problem).